History buffs are in for a treat as what some people call New York’s “weirdest museum” celebrates its tenth anniversary on April 1st. The City Reliquary is a storefront museum located in Williamsburg, holding a collection of a huge assortment of memorabilia which together tells the remarkable story of the development of New York City. Contained within its walls are objects as unique and familiar as old seltzer bottles, street signs and small representations of the Statue of Liberty. 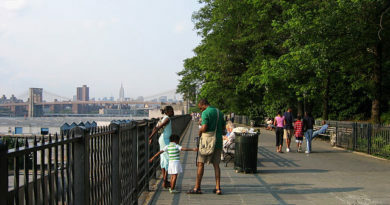 Although the museum takes a special interest in the history of Brooklyn, and Williamsburg in particular, most of the items in the collection tell the story of New York City’s development and history through the years. Beginning on April 1st the museum will have regular hours seven days a week and a brand-new, freshly renovated gift shop will be launched. There are also dioramas on display which help to retell some of the key events in Brooklyn’s history. For example there is a presentation of one of the Civil War’s most famous battles-the fight between the USS Monitor (built in Greenpoint, Brooklyn) and the USS Virginia. 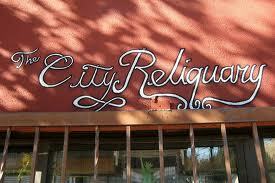 Grand Reopening at City Reliquary at 370 Metropolitan Ave. between Havemeyer Street and Rodney Street, Williamsburg (718) 782-4842 will take place on April 1st from Noon to 6 pm, and admission is free.